Ban on ‘smart’ road pricing. (Telematics is a high energy user of data Not appropriate for a low carbon, low energy future. Mostly for data harvesting and mass surveillance. Energy use allowances would be far more effective at reducing car use. We need to address the cause not the symptom). Basic income (that is nothing to do with Artificial Intelligence but about reducing the working week to 3-4 days to cut energy use and for quality community and family life). Algorithmic transparency and accountability in Government decision making. Mass rewilding of roads to restore nature, biodiversity, carbon absorbing tree cover and flood mitigation. Removing tarmac. 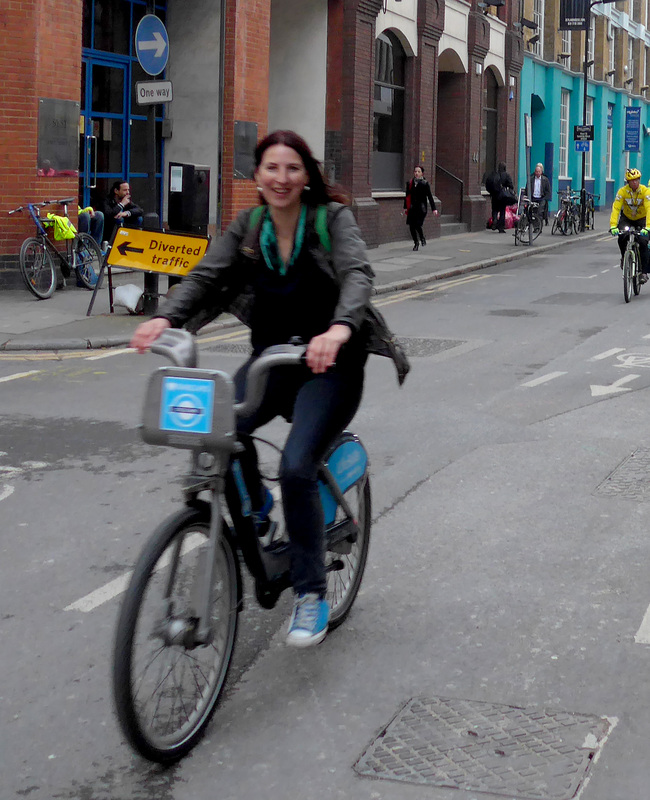 Every village, town and city centre in London must have a walking and cycling network. Ban motor traffic from the core of every town centre, village and the city centre. Cars are a major cause of illegal air pollution in London, killing 9,400 per year and permanently stunting the growth of children. Some small diesel cars have been found to be emitting the same Nitrogen Dioxide as a bus or HGV. This is a full blown public health crisis but not once has any Mayor of London, called for the banning of diesel cars in our city. London is now officially the most congested city in Europe. The economic cost of congestion is estimated to be in the region of 8.5 billion per year. Growing car use is unsustainable and affecting the quality of life of all Londoners. Journey times are unreliable and the time wasted stuck in traffic makes the city inefficient and stagnant. There were 30,785 casualties as a result of road collisions in Greater London in 2014. Every death or injury is a failure of a civilised society. Hit-and-runs are occurring with increasing frequency, creating a sense of lawlessness on the streets. (80 motorist hit-and-runs per week in 2014) Many people feel severed from their community by dangerous roads. The public health crises of inactivity, obesity and type 2 diabetes threaten our ability to sustain an NHS system, free at the point of entry. 1 in 6 are dying from inactivity, half of Londoners are obese or overweight and 1 in 10 in Newham and Brent have diabetes. Car owners are statistically the most likely to be inactive. The CEO of NHS England has already said obesity will bankrupt the NHS. This means longer waiting times and a reduction in services across the NHS. We know that diabetes type 2, obesity and inactivity are preventable and can be reversed by lifestyle changes such as walking and cycling. Cars contribute a significant and growing proportion of greenhouse emissions. In order to cut CO2 emissions to sustainable levels, car use must be radically reduced. Viable environmentally friendly alternatives such as cycling, walking and public transport can make this transition possible. Vast areas of land in London are currently allocated to cars, both in transit and parked. 6.8 million car parking spaces in London take up a minimum of 78.5 km sq. And with the average car parked 95% of the time, this is economically illiterate use of prime land. When housing is in crisis we need to seriously review how we allocate space in London. Cities around the world are waking up to the cost of cars in an urban environment. In 2015 Dublin, Madrid and Oslo announced plans to go car-free in their city centres to reduce pollution, congestion and cut greenhouse emissions. We too can lead London into a brighter future, by making our streets for people rather than cars. Today I am announcing that I will be standing as an independent candidate for the Mayor of London in 2016. I have been campaigning via my website banprivatecarsinlondon.com for a sea change in the way transport is organised on the streets of London. Only radical reform will transform our city from a polluted, congested and dangerous space for people living, working and visiting here to a liveable city where people can breathe. Active travel has immense potential for keeping our economy vibrant, our citizens healthy, reducing NHS costs, inequality and creating the feel-good factor. Private cars are the least economically viable mode of transport in urban areas. This is why I want to prioritise safe walking, protected inclusive cycling, accessible clean and low-priced public transport and electric sharing taxis. I would also like to free up the vast quantities of land used for parking. Private cars, on average, are parked 95% of the time. There are approximately 6.8 million parking spaces in London (Transport Statistics User Group 2001) which, based on the minimum parking space per vehicle, take up an astonishing 78.5 km sq. When housing is in crisis in our city, we need to seriously re evaluate how space is allocated. I would like to designate car parks as brownfield sites, to house key workers at reasonable rents, linked to their jobs in the vicinity. From the City-centre outwards we can change the car culture of London to create a liveable city where children are free to roam once again without the fear of road danger. How do I become a supporter of BPCiL?